Since Game of Thrones or GOT first came to our screens back in 2011, it has been THE topic of conversation in homes, workplaces and hangouts around the globe. With it making its way back to our screens for the final installment on Sky from 14th April, our Jon Snow/Daenery crushes can breathe once again. The action-packed, gory and remarkably X-rated fantasy drama series has had us all on the edge of our seats at some point or another, with bloody scenes like The Red Wedding and the Battle of the Bastards, leaving us well, a little worse for wear. As gruesome and seemingly wrong as some of its story-lines are, namely the rather raunchy relationship between the ultimate power sibling couple, we’ll be glued to our screens whenever it launches a new series. And even though we only ever remember the names of a handful of the humungous and ever-changing cast, it has to be said, it GOT us all! You hear Game of Thrones, you think dragons. And from when they were just wee little dragon eggs, Daenery, the Mother of Dragons always did put her little fire-breathing babies first. Although it’s fair to say that even she was slightly terrified when they finally came into the world. Totally understandable. The final scene of the last series left us all tad panicked as we discovered that one of her 3 dragons had been turned into an evil White Walker, who are just lethal creatures. The final shot of that big blue dragon eye left us all wondering how on earth the rest of the GOT clan were going to get themselves out of this one. Who’s going to save the day now? Will Daenery find a way to win her baby back? Or will Jon Snow and his men have something superb up their sleeves? Well, we’ll soon find out because winter is here! Well, more like Spring actually, but we’ll keep our thermals on just for the sake of the show. 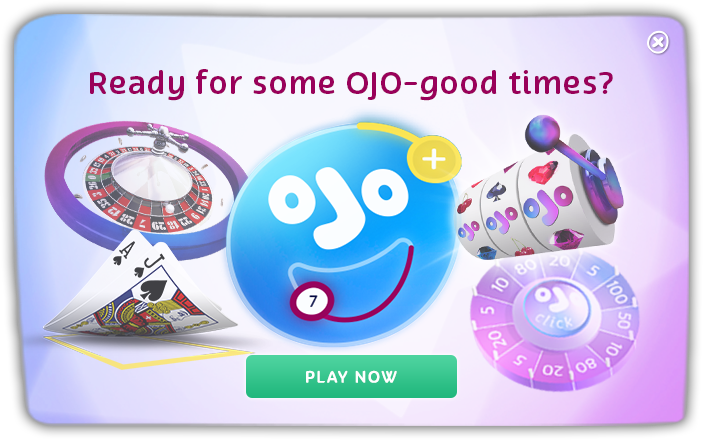 OJO’s been supporting the dragon’s cause all along, with quite the fiery selection of dragon-inspired slots to keep you fantasy-fiends satisfied. Double Dragons slot from Yggdrasil Gaming features a Fire Dragon and an Ice Dragon, just like the name of the original book series that GOT is based on – A Song of Ice and Fire. Well I never. In this game the ice dragon can double drop-down wins and the fire dragon which changes up to 3 symbols in Wilds. Next up, hosting that big glaring dragon eye is the Chinese-themed Dragon’s Fire from Red Tiger Gaming. This game is all about the Dragon feature which can randomly appear to transform up to 3 reels into wild reels. Also look out for the Dragon’s Eye boost which can bring an instant 10x multiplier. And to balance out the fear factor, we’ve also got a very cutesy animated dragon number called Dragon Wins. These dragons are well cute and help you out by providing dragon spins, stacked dragons, dragon reels, expanding dragons and no doubt some vivid dragon-themed dreams too. Count how many times the word dragon(s) is mentioned in this blogpost. Go to our dragon-themed Facebook post and write your answer in the comments section. 10 winners with the correct answer will be randomly selected and awarded 20 Free Spins. The competition will run until Monday 15th. Game of Thrones season 8 arrives on Sky Atlantic or Sky Demand on 14th April.